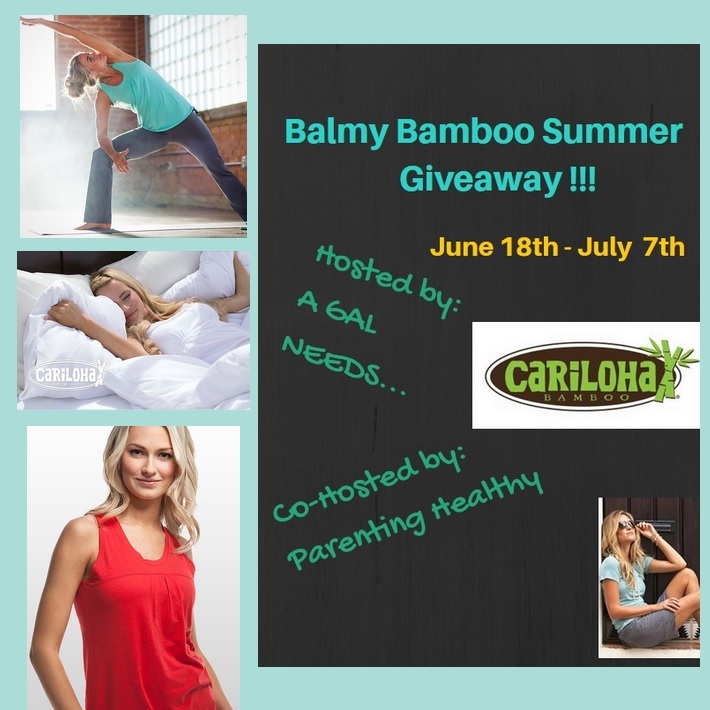 Welcome to the 'Balmy, Bamboo Summer' Giveaway, where 1 winner will win $100 to Cariloha, makers of ridiculously soft clothing, bedding, and bath accessories! Hosted by A GAL NEEDS... and Co-Hosted by Parenting Healthy! 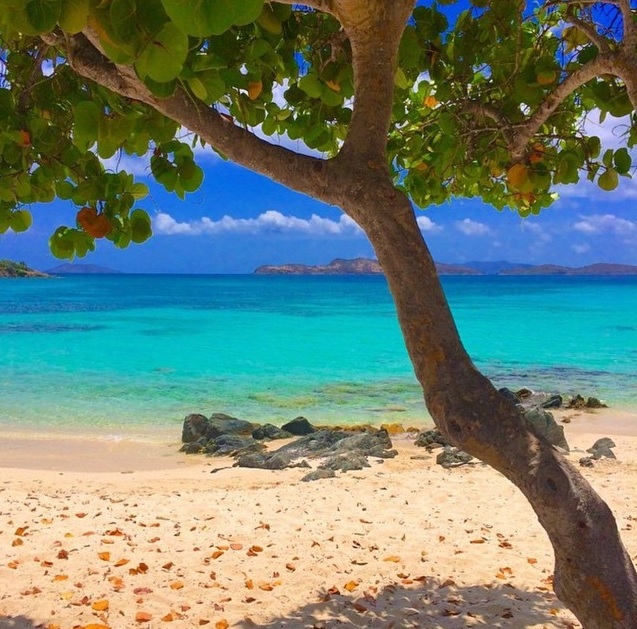 Giveaway - One winner will receive a $100 Gift Code To Cariloha! Open to U.S & Canada, age 21+, one entrant per household. Remember the more entries you complete, the better your chances are for winning! Thanks to the great bloggers who are participating in this giveaway. Please consider liking all the participating bloggers on Facebook. They work hard to bring you this event and others like it! You wouldn't want to miss out on any future events! Sponsor is responsible for delivery of prizes, not participating bloggers. This blog received no monetary or other compensation for the facilitation of this giveaway. Enter the giveaway in the Rafflecopter below. Good luck! I'd love to get the white Resort Bamboo Bed Sheets! I love the Bamboo Fitted Yoga Pant - Black. Very nice !! I could use a set of King size sheets right about now. I faint at the prices of them now. Good sheets are SUPER expensive. I could use a set of new, deeeeeep size ones. I love the pink baby plush blanket it looks soft and cute. The resort bamboo bed sheets look absolutely amazing and so cozy! I would want the bamboo throw blanket in ocean blue. I like the Classic Bamboo Bed sheets in white. Thanks! I bet the men's T-Shirts are soft. I'd like some of the bamboo towels. I want the Bamboo Duvet Cover- Blue Lagoon. I'd love to have the Bamboo Racerback Cover up in Charcoal! I really need new pillowcases. I would love to experience Bamboo sheets like the Resort Bamboo Bed Sheets - Island Spa. I love the Bamboo 2-in-1 Dress in Coral Red! 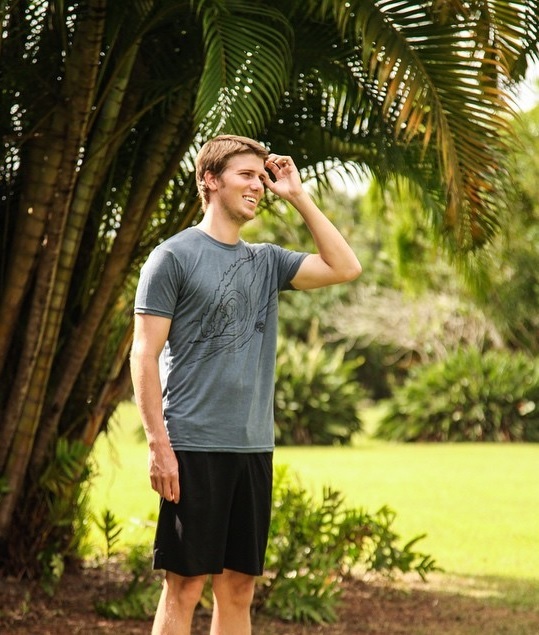 The fitted bamboo yoga pants! The bed sheets would be so soft and comfortable! I would love to get the Bamboo Bath Towel Set - Blue Lagoon. The Resort Bamboo Bed Sheets - Hawaiian Sand would be awesome to have. I would love to have the linen pants. I would like the Bamboo 2-in-1 Dress - Stripe Charcoal dress. I would like the Blue Lagoon Bath Towel Set. Love to surprise my wife with this. I like Bamboo Racer Tank - Jade. I would love to have the Cariloha bamboo knit throw blanket in Ocean blue. Used some bamboo towels at my sister's house...that is what I would get I want some for MY house!! Resort Bamboo Bed Sheets - Shoreline Gray- i need some gray sheets to go with my new comforter, very nice. I would love the resort bamboo bed sheets in graphite! I would love to try the Bamboo Bath Towel in Blue Lagoon, so pretty. I would love a new set of white pillowcases and a new white bath mat too. I'd love to wear the Bamboo 2-in-1 Dress. The stripe charcoal version is so pretty! I would love to have a set of the grey or brown Bamboo Bath Towel Sets! 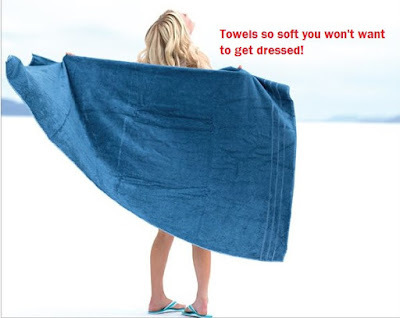 I love the Blue Lagoon bath towels! The Black Bamboo Maxi Dress looks so chic yet sounds so comfortable. That would be perfect for a market stroll with some beach time to follow. I have a set of Classic Cariloha sheets that I LOVE. I would also like to have a set of the Graphite Bamboo Bath Towels.